MacDonald, Dettwiler and Associates Ltd. (“MDA” or the “Company”) (TSX:MDA) has celebrated their milestone achievement of the successful operation of the MDA-built Alpha Particle X-Ray Spectrometer (APXS), a scientific instrument carried on the Mars rover Curiosity. MDA's Alpha Particle X-Ray Spectrometer (APXS). Developed with principle investigator Dr. Ralf Gellert of the University of Guelph for the Canadian Space Agency, APXS determines the relative abundances of elements in rocks and soils of the red planet, providing scientists with information on water activity, the formation of the planet's crust, and how the surface has been impacted by weather. 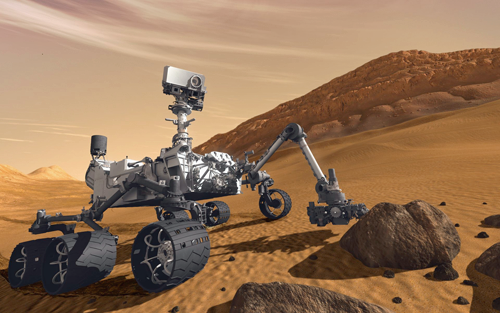 In November 2011, the NASA’s Mars Science Laboratory (MSL) robotic space probe mission to Mars launched and culminated in the successful landing of Curiosity in Gale Crater on August 6, 2012. Since its launch, the iconic rover has operated 1,826 days, well beyond its 687 day primary mission life, and traveled more than 17 kilometers, providing a wealth of operational information to scientists. Canada has played an integral part in this mission and solidified Canada’s place as a world leader in the development of robotic solutions in the harsh environment of space. Mars Science Laboratory Curiosity Rover. Image is courtesy of NASA/JPL. 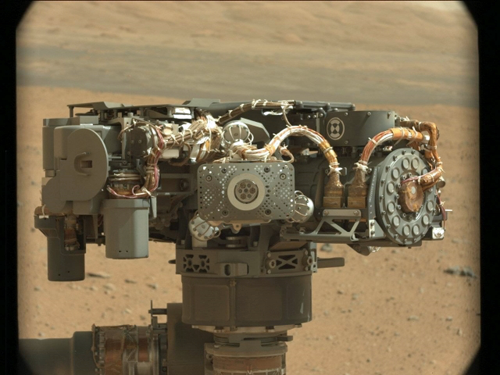 After being placed in contact with rock and soil samples on Mars, the APXS exposes the material to alpha particles and X-rays, and measures the resulting radiation. APXS has operated over 2,300 hours since its arrival on Mars and has captured and recorded samples on almost 500 scientific targets. MDA’s robotic heritage spans over three decades, and includes the Mobile Servicing System which comprises Canadarm2, the Special Purpose Dextrous Manipulator known as “Dextre” and the Mobile Base System. These three robotic systems perform a variety of operations ranging from resupply, maintenance, and servicing tasks on the space station that are critical to the on-going operations of the ISS. This expertise supports the Company’s transformational on orbit satellite servicing capability that was announced in June of 2017.